This sign helps users quickly locate the fire extinguisher when needed. 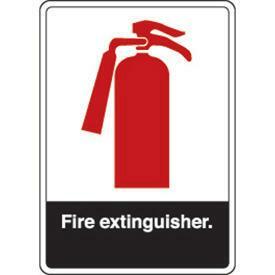 This durable plastic Fire Extinguisher sign is a great resource in any facility for promoting safety awareness. It has large, easy-to-read text and bright graphics.